This year’s GSA Research Grant program was the most competitive yet, with 18 applications from University of Ghana, University of Cape Coast, and the University of Development Studies. GSA thanks reviewers David Owusu-Ansah, Rebecca Shumway, Lloyd Amoah, Gretchen Bauer, Cyrelene Amoah-Boampong and Nana Akua Anyidoho. 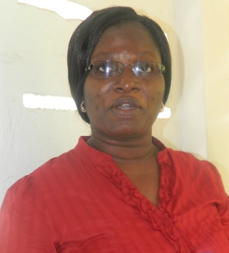 Joana Kwabena-Adade is a PhD candidate at the Department of Sociology of the University of Ghana. Joana’s research examines the different forms of non-domiciliary care available to the aged in urban Accra. The study also investigates the circumstances under which the aged are admitted into such facilities, including how families influence or mediate this process. She will use the GSA Research Grant to complete the data collection process at four identified elderly care facilities, for transcriptions of interviews, and also to purchase gifts for the facilities after completion of fieldwork. 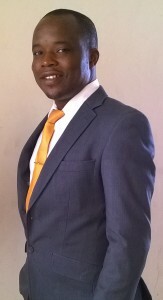 Edward Wilson Ansah is a PhD candidate and a Principal Research Assistant at the Department of Health, Physical Education and Recreation (HPER) at the University of Cape Coast. Edward’s program is Health Promotion with a specialization in Environmental and Occupation Health. For his thesis, titled “Psychosocial Safety Climate as a Predictor of Health and Safety of Fuel Station Attendants in Accra, Ghana”, Edward explores the involvement of both managers and workers in promoting the health and safety of fuel station attendants. The GSA Research Grant will be used for data collection and analysis. Jean Allman is Vice President-elect of ASA! ← Jean Allman is Vice President-elect of ASA!